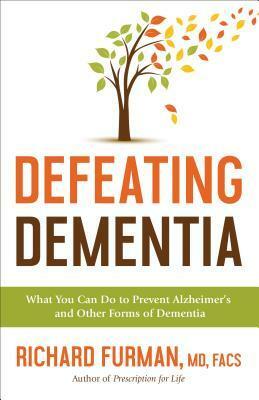 Defeating Dementia by Richard Furman is a great resource for any family or person who is facing dementia. This book is a great tool to help you navigate questions about dementia, the stages and how you can prevent it from your life. This book has a lot of information on the biology of Alzheimer's and how to slow it down, which I find fascinating. I also found this book easy to understand and ways to decrease my opportunities of of developing Alzheimers. This is a great guide to help people understand Alzheimer's, steps to to deal with it and ways to manage, prevent and help those who are in it. Overall, I thought this book was a great resource. I give this book a 4.5/5 stars. A favorable review was not required for a complimentary copy.